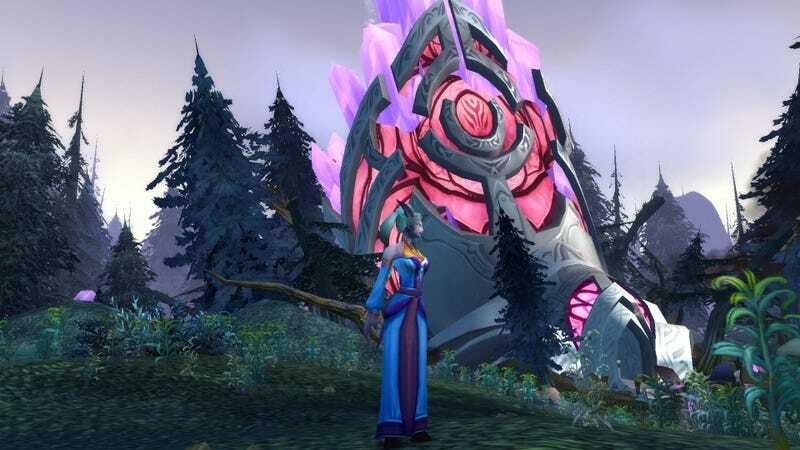 Many unofficial World of Warcraft legacy servers roll the game back to its 2004 launch. The ambitious Felmyst project, now in open beta, takes things a step further, recreating the game as it was following the launch of its first expansion, The Burning Crusade. Those were rough days. World of Warcraft’s first expansion was much more challenging and less flashy than the ones that followed. The new zones introduced were large and meandering. Raid attunment and progression was rough, and leveling from 1 to 70 was a huge undertaking. That’s exactly what the folks behind the Felmyst project are hoping to recreate. There’s no denying that World of Warcraft is a much easier game now than it was back in 2007. Blizzard’s spent the past decade streamlining systems and simplifying mechanics, something early fans of the game like to call “dumbing things down.” Felymst’s lead, who goes by the name Gummy, launched the project with an aim to give players back the challenge that’s missing from both the retail game and most other unofficial servers. Gummy talks about the recreating the bad old days in the video below (via Tech Raptor). Where other private serves might ramp up player damage, speed up experience gain and tone down end-game content, Felmyst aims to keep things just as they were in 2007. I’ve poked around in the beta, and I had forgotten how slow going it was. How new spells and skills had to be purchased from a trainer rather than learned automatically. How a mage had to stop and regain mana instead of chain-killing low-level trash. It’s tough, but sort of nice. In order to play in Felmyst’s open beta, all one has to do is register for an account on the website, download the client and play. Keep in mind, however, that this is an unofficial free legacy server, and Blizzard’s been known to shut those down.